FotoBella: Flipping for Flip Books! One of the "hottest" trends right now in PaperCrafting is Snail Mail Flip Books! Q.What is a flip book? A. A FlipBook is a greeting card and penpal letter in one! It's a way of sending snail mail to your pen pal or swap partner. (and who doesn't love to receive real mail in the mail box?) Flip books are fast becoming a fave of paper crafters who by virtue of their love of paper, choose to send a handmade letter instead of a purchased one. So what better paper to use on this "hot trend" than On Trend 2 by My Mind's Eye? The beautiful colors and trendy images are so perfect for this project! The gold foil adds a touch of elegance. The little book was created by adhering together 4 envelopes, then using patterned card stock to decorate each page. A circle punch cuts a pocket just right for tucking in surprises for your pen pal. 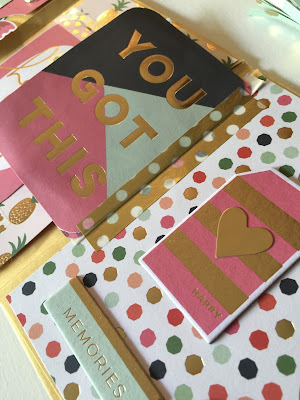 The journaling tags and ephemera from On Trend 2 make perfect pages to "flip"! Washi tape works great for adhering the journaling cards to the flip book. You can create pockets with it too! Coordinating wood veneers look so pretty and add interest to your project too! Stickers, enamel dots and acrylic shapes look great together! I The two tags tucked inside the pocket make it fun and interactive. 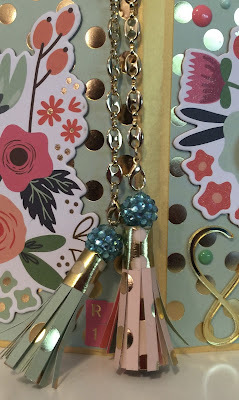 Tassels are so popular and are so easy to make! 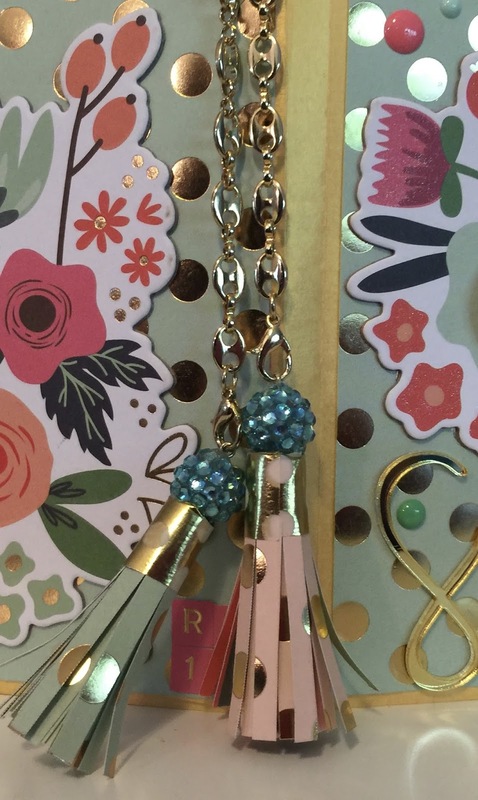 Just roll up the paper, decorate, and hang from a chain! See how easy it is to add flip pages? Add a bow to a button using Baker's Twine for a cute touch! 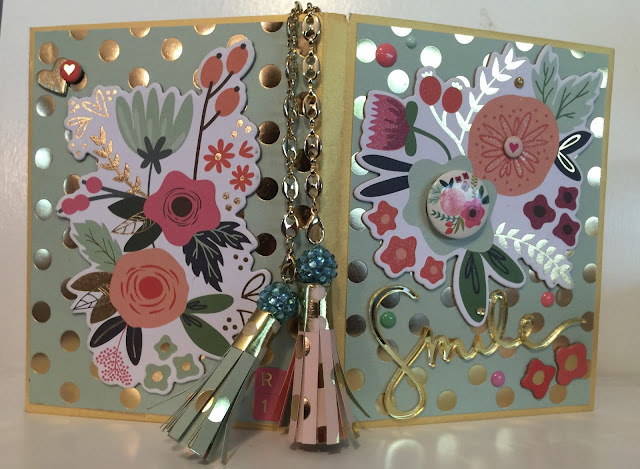 Rub-ons turn a plain tag into a delightful addition to my book! Chipboard stickers look so nice in a flip book! On Trend 2 made such a cute Flip Book! Try one, they are so much fun!